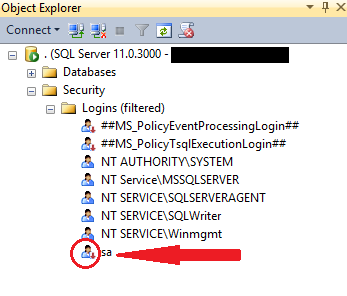 Ever noticed and wondered why the well-known SQL Server system administrator (sa) login is in a disabled state? 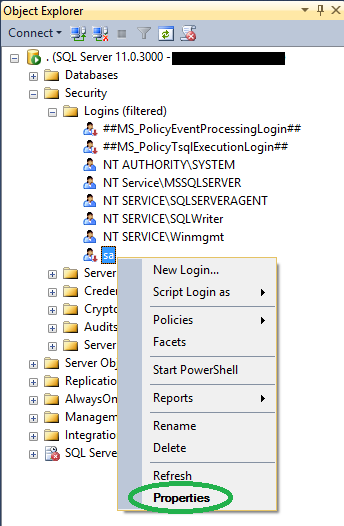 The reason is simple, sa login account is disabled out of the box (by default) in Windows Authentication mode. You have to enable manually to use it. 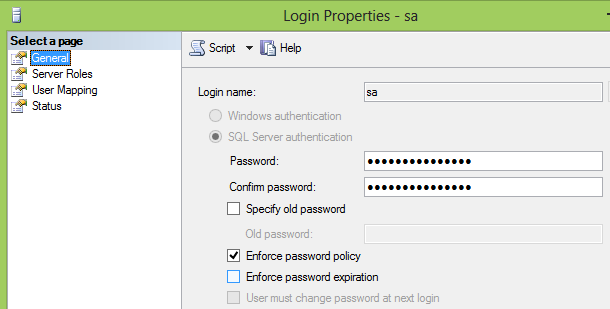 On the other hand, if you request Mixed Mode Authentication during installation, SQL Server Setup prompts you to set an sa login password. So sa login account is enabled in this case. 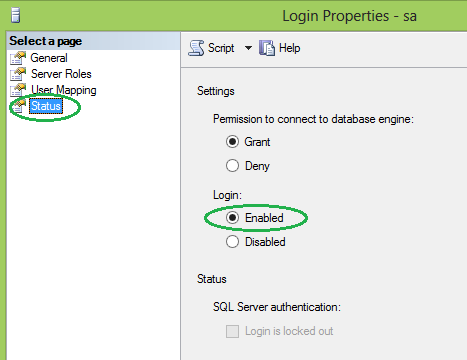 Enable sa login using T-SQL script: helped me. Thank you.